Hammer Film’s follow-up to the successful One Million Years B.C. 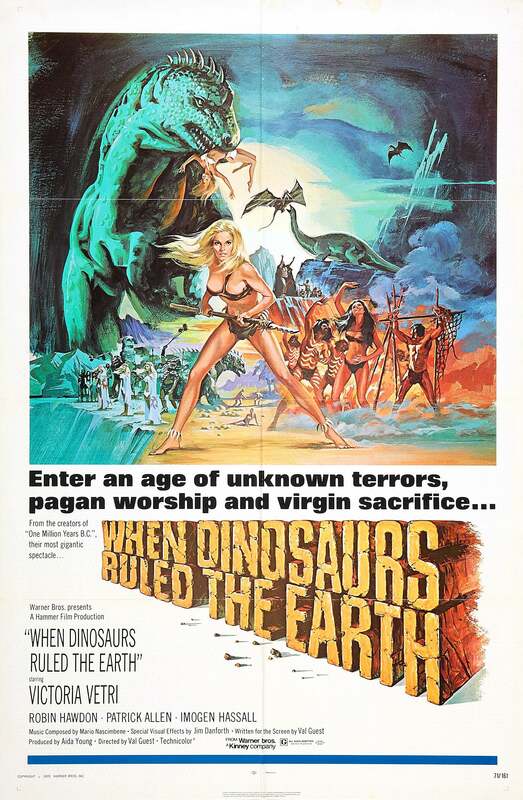 is set in an ancient past when humans and dinosaurs co-exist. Athletic cavewomen and hairy men wander around, grunting, sweating and occasionally sacrificing evil blonde babes to the sun in return for protection from stop-motion beasts. 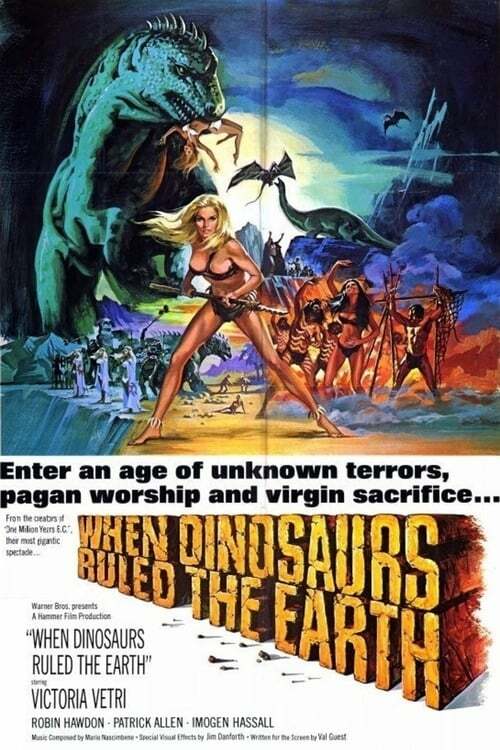 The fun-loving, energetic Sanna (Victoria Vetri), one of the sacrificial offerings, manages to escape during a ritual and joins another tribe where she says ‘necro’ a lot and falls in love with a surprisingly hairless guy.